Affinity Living Feature Pools are a stylish and unique raised living water feature pool available in a variety of styles. Affinity introduces a fresh dimension to any garden, patio or deck. Affinity Pools are designed and manufactured by a leading UK water garden brand; Blagdon � The Pond Masters. 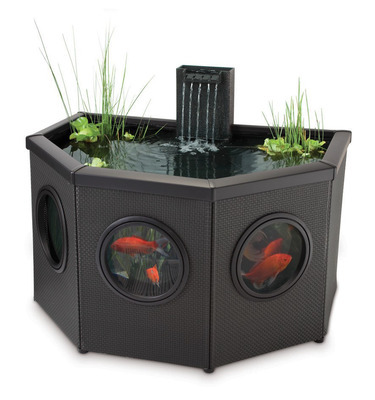 With over fifty years experience in fish keeping and water gardening, you can be sure the kit is not only beautiful, but designed specifically for successful fish keeping and water gardening.